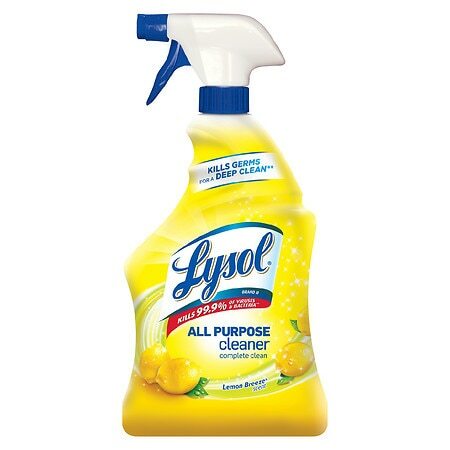 Leaves Your Home with a Fresh Clean Scent Cuts Tough Grease Removes Soap Scum Deodorizes Kills 99.9% of Viruses and Bacteria* Lysol® All Purpose Cleaner Trigger can be used on surfaces throughout the house - from the kitchen to the bathroom to household areas. 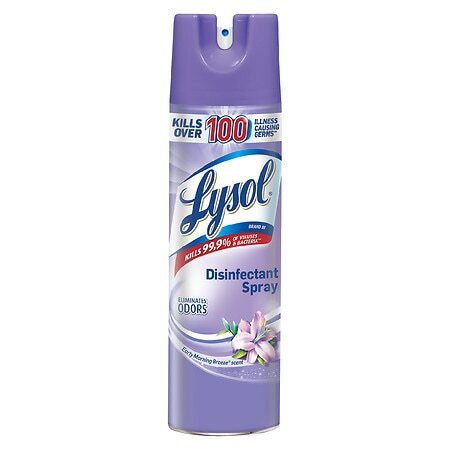 It starts cleaning on contact and kills 99.9% of germs. * Household: Clean walls, garbage pails, countertops, high chairs and washable wallpaper. Kitchen: Clean counters, sinks, stovetops, cabinets and appliance exteriors. Bathroom: Clean tubs, glazed ceramic tile, cabinets, sinks and fiberglass fixtures. Made in USA *When used as directed. 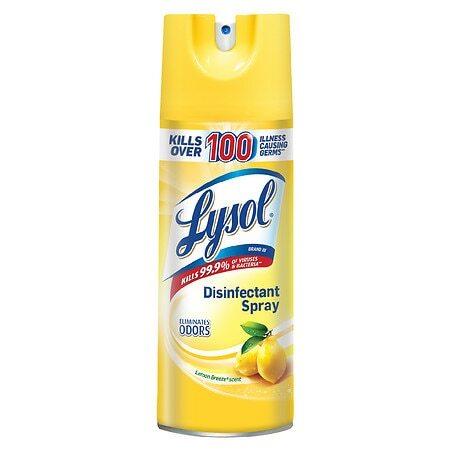 Lysol Disinfectant Spray Early Morning Breeze - 19 oz.